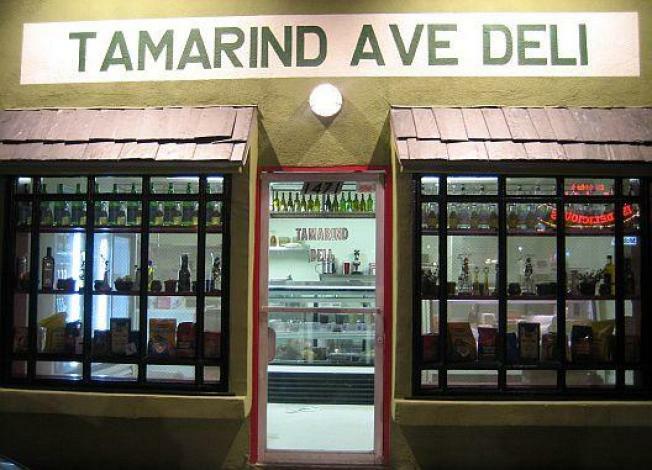 After stopping in one of our regular watering holes (Delancey) for a glass of wine and a quick nosh last night, we learned two things: First, adding to his Sunset Boulevard compound (Mission, Delancey, Bowery), George Abou-Daoud is about to debut the Tamarind Ave Deli this week, a little take-out shop on, yes, Tamarind Ave. Expect subs---a classic Italian cold cut, for one--sandwiches, green and side salads, bevvies, possibly as early as Wednesday. There's talk of a roast beef brisket sandwich with smoked mozzarella, perhaps as an ode to the Arby's across the street. The deli will be open until 6pm, weekdays only for now. More info soon. Second, the Delancey menu has some upgrades, most notably in the way of handmade pastas, new antipasti and pizza toppings. We'll say this: Kirsten Dunst was longingly eyeing our butternut squash ravioli and plate of meatballs last night. Fact.